I was inspired by Ginger Snaps, Treats for Teacher's Fraction Bot to create my own. 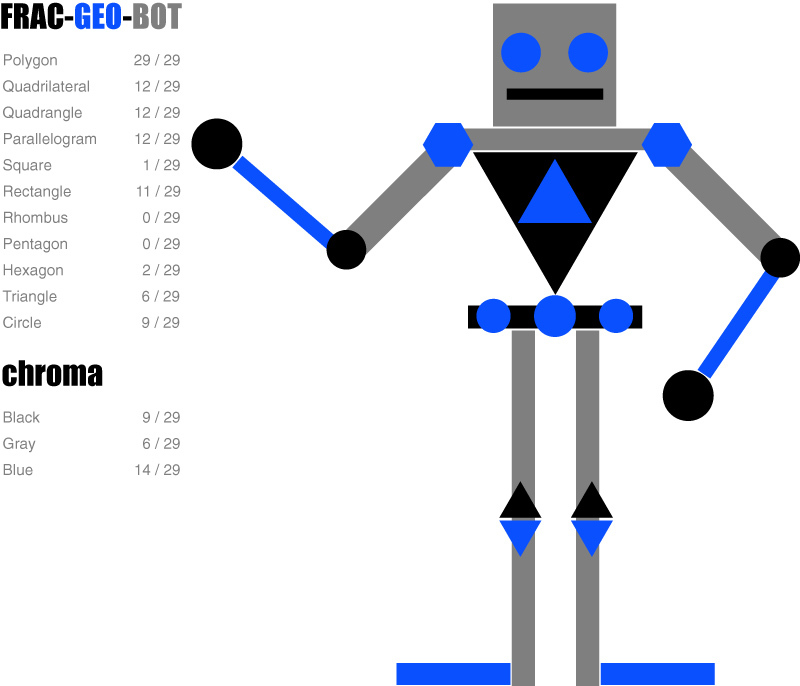 Frac-Geo-Bot is a fun math activity for kids to get creative. They design a robot out of various polygons. Then, they figure out the fraction for each shape and color. Older kids can design more complex bots, like the one below. Younger kids can create simpler bots, using basic shapes. What is this please write any intro of this.